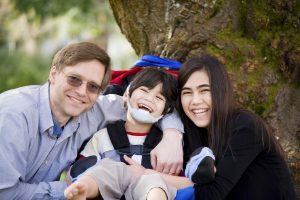 In many states, including Georgia, as soon as your special needs child turns 18, he or she becomes a legal adult and is assumed to be able to make decisions on their own behalf unless a court determines otherwise. Requesting guardianship can be a lengthy and involved legal process. In order to retain guardianship of your child, you need to have the court appoint you as your child’s guardian. To make sure there is not a gap in your child’s guardianship when he or she turns 18, it’s important to prepare your petition to the court well in advance of your child’s 18th birthday. If there is a gap in guardianship (i.e. your child turns 18 before you have guardianship) and a decision needs to be made about your child’s health or legal rights, it could cause some serious problems. Every state’s guardianship laws differ slightly and the process can be daunting. 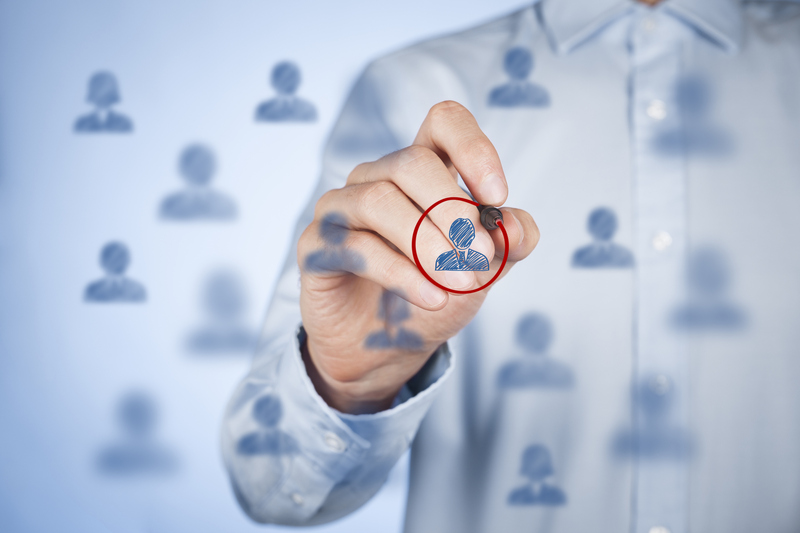 This is where hiring an attorney to help guide you through the process is beneficial. There are several forms you will need to complete, including forms that will need to be completed by a qualified physician to evaluate your child. Once you submit the forms, your child will need to appear in court with you. As much as possible, you will want to help your child understand the process and what to expect in advance of actually appearing in court. The court will appoint a representative for your child to help determine the merits of your claim that your child is not competent to act on his or her own behalf and that guardianship is in fact the right choice. The representative will most likely want to meet and visit with your child. In addition, in some circumstances, the representative may visit your child at home. Finally, you will need to attend a hearing with your child. At this point, the judge will review and determine if your child is incapacitated and, if so, to what extent he or she requires assistance. Further, the judge will then decide if the person petitioning for guardianship will be appointed as guardian. You and your spouse or significant other can petition the court to share guardianship. You will become co-guardians. If your child’s need are complex, you can request that a non-profit agency or public or private corporation serve as your child’s guardian. 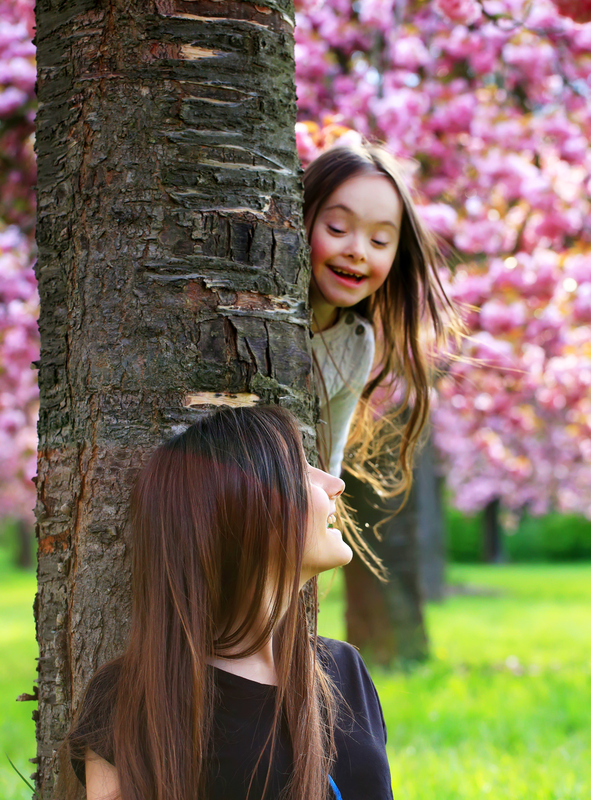 Guardianship may not be the right solution for your child. 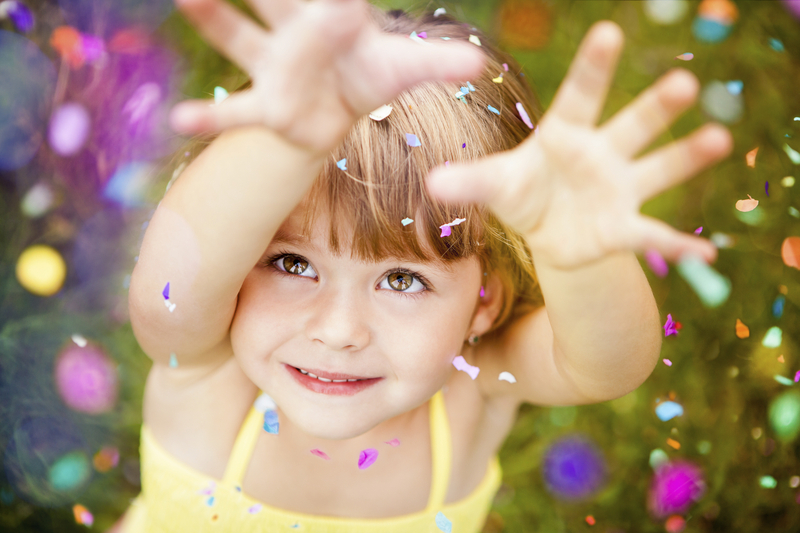 There are alternatives such as conservator or limited guardianship that give your child more independence. The paperwork doesn’t stop once you’re awarded guardianship. Every year you will need to file detailed reports about your child’s finances and overall well being. In some states, guardians must also provide proof that they’ve made adequate residential arrangements as well as provided appropriate healthcare services. If the guardian cannot prove that they have adequately provided for their adult ward, then the court can remove the adult ward and name a different guardian. As a parent of a special needs child and an attorney with extensive experience with legal issues relating to special needs children, I can help you navigate the complex guardianship process. DJ@JeyLaw.com or 678.325.3872. Special guest blog post by Cassandra Jeyaram, PhD. Despite my love of traveling, it’s been years since I’ve flown. 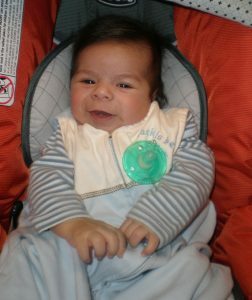 My last flight was when our son was 8 months old, and we flew to Children’s Hospital of Philadelphia for multiple tests and evaluations. At 8 months old, my son Kai was easy to “control” and keep happy. At 7 years old with a dual diagnosis of Autism and Williams Syndrome, the thought of flying with Kai makes my hands sweat and to be honest, want to throw up. No thank you. We have enough anxiety and stress in just our every day, highly routinized lives. But there are times, when we hear about our friend’s taking family vacations or we see trip pictures on Facebook; and we feel the loss of the freedom to travel more acutely. We want our kids to experience the world, but the thought of flying is daunting. Like many other children with autism and special needs, Kai thrives on knowing what to expect and at any time, any little thing – a sound or smell or sight – can send him into sensory overload and a meltdown. So going to the Atlanta airport – the world’s busiest airport – and asking him to sit still for more than five minutes seemed out of the question. However, Delta has launched a program to try to help parents like me who are anxious about flying with their children with autism and other needs. 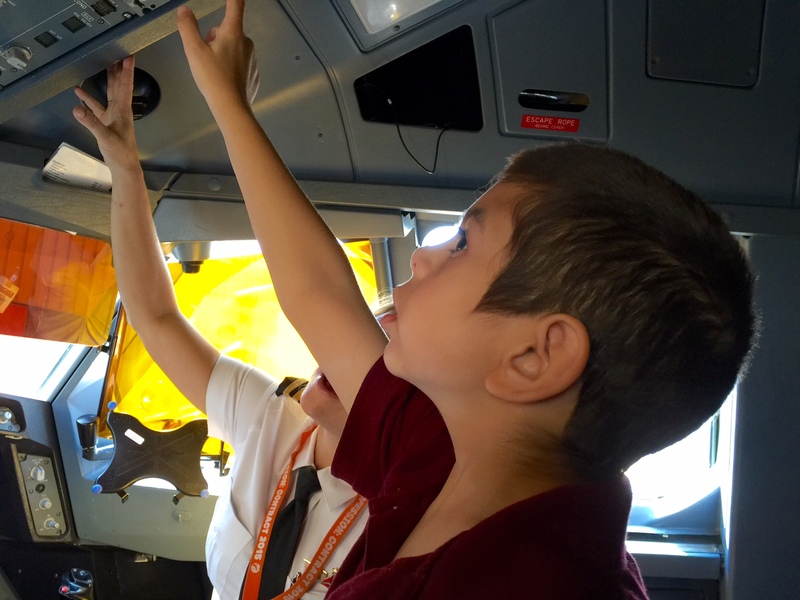 This past weekend, Kai and attended one of Delta’s “Taking Flight” tours. It’s a free tour of the airport – from security to boarding the plane – to help parents and their children become more comfortable in navigating through the airport and flying. Members of team shared their personal stories about traveling with children or loved ones who have autism or special needs. Wait what? Pilots and flight attendants who understand that the process of having to take off their shoes to go through security can cause an epic meltdown or that the LOUD whooshing of the airplane toilet can cause our children to meltdown? Wow. The more I talked with the Delta team and they shared tips on how to navigate the process from check in to boarding, I started to feel a glimmer of hope. One of our pilots, Erich Ries has a son who is on the autism spectrum. Erich said he’s traveled with his son more 40 times! It hasn’t always been easy, but they did it and he was so glad they did. Our other pilot, Angie Millar, has a sister who is autistic and during one of the flights with her sister, her sister experienced a seizure. I couldn’t believe it. Here were people just like me! They talked about how through their professional and personal experiences, they have all probably seen and successfully handled every possible situation with individuals with autism or special needs. Consider creating a laminated card to give to gate agents, the TSA and flight attendants about your child. I know a lot of parents don’t like to bring attention to their child’s disability, so this is a discrete way we can notify individuals that we need help without making a big production. Gate agents, TSA, flight attendants, etc. can’t help us – if they don’t know. If you’re traveling with another adult, consider having your partner board first and create a “nest” on the airplane. For example, get out toys, electronic devices, blankets, snacks, and other comfort items to make your child more comfortable for the flight. Then, you and your child can board last to minimize the time for potential anxiety to kick in and reduce the amount of time they have to sit still on the plane. Watch videos on YouTube about going to the airport or boarding the plane. Create positive anticipation and excitement about going to the airport and your upcoming trip. Pilot Erich creates a countdown for his son and shares with him lots of fun information about where they are going. They talk about their trips in advance – so the trips aren’t a surprise. Every child is different and the aforementioned tips may or may not work for our kids, but they’re a great foundation to get us to start thinking about ways we can make our kids more comfortable and less anxious about navigating through the airport and flying. Finally, and perhaps most importantly, what I took away from the tour was hope. As we were in the plane, pilot Erich looked at me and said, “You can do this.” I almost started to cry. Here’s someone who gets it and has done it – more than 40 times! This post is by no means a replacement for the tour, but more of an endorsement of the tour and a hope to encourage other parents to take their children on the “Taking Flight” tour so they too can experience first-hand the sights, sounds and smells of the airport and become more familiar with the entire process. Thank you Delta Airlines and The Arc for making these tours possible. Thank you for sharing your personal experiences with us and for giving us such an amazing and special gift – confidence to travel and share the world with our loved ones. A very special thank you to Erich Ries, Angie Millar, Maren Vargas, Dinah Robinson and to all the other amazing members of our Delta tour team! THANK YOU! If you’d like to participate in one of the tours, please contact ACSCRO.ATL@delta.com. The next tour is October 1, 2016 from 10 a.m. to 12 p.m. at ATL Airport. You must RSVP as spaces are limited. 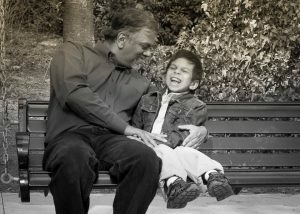 Creating the first of its kind in Georgia, Jeyaram & Associates and The Calbos Law Firm are collaborating to provide a one-stop shop of legal services for Georgia families with special needs children. Both firms have a long history of advocating for special needs children and ensuring they receive the medical and educational benefits they deserve and need. While both firms have obtained excellent results for their clients separately, together they bring more than 70 years of combined legal experience and offer comprehensive legal services to special needs families and serve as a formidable opposition to government entities. Mr. Jeyaram has a special needs son and Principal Christy Calbos of The Calbos Law Firm has three special needs family members. 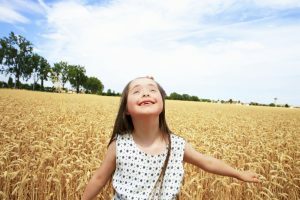 Because the two firms are active in the special needs community, they are able to connect families with other professionals and experts who are committed to and specialize in helping special needs families. From financial planners to CPAs and more – the firms have built an extensive and trusted network to help special need families. Ms. Calbos brings unique expertise and experience to the firm by having represented multiple county school districts prior to representing families with special needs children. She has an intimate understanding of schools’ perspectives as well as families with special needs students. Currently Ms. Calbos represents special needs students for students age 3 to 22 in public schools by ensuring they receive appropriate education and services through IEPs and 504 Plans. 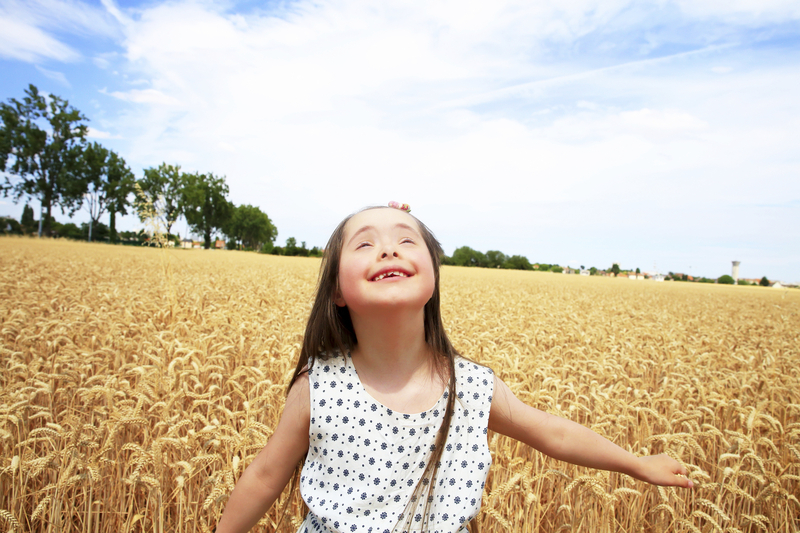 Guardianship: Is It The Right Choice When Your Special Needs Child Turns 18? In most states, a parent is deemed to be the legal guardian of his or her child until their child turns 18. Up until that point, parents make all the medical, financial, educational and day-to-day decisions for their children. However, once your child turns 18, he or she is legally considered an adult and your authority to make decisions on your child’s behalf stops. This usually isn’t an issue, unless you have a special needs child that may not be ready or able to make good decisions about their care. Following is a discussion of some options of what you can do when your special needs child turns 18. With guardianship of your child, you have the legal authority to make decisions about your child’s healthcare, housing, food, clothing, and other subjects that affect your child such as decisions about a their income, property, public benefits and other financial matters. Guardianship is not automatic. And when your child turns 18, parents (or an adult willing to oversee your child’s care) must petition the court for guardianship. However, not every child who has disabilities needs to have a guardian. 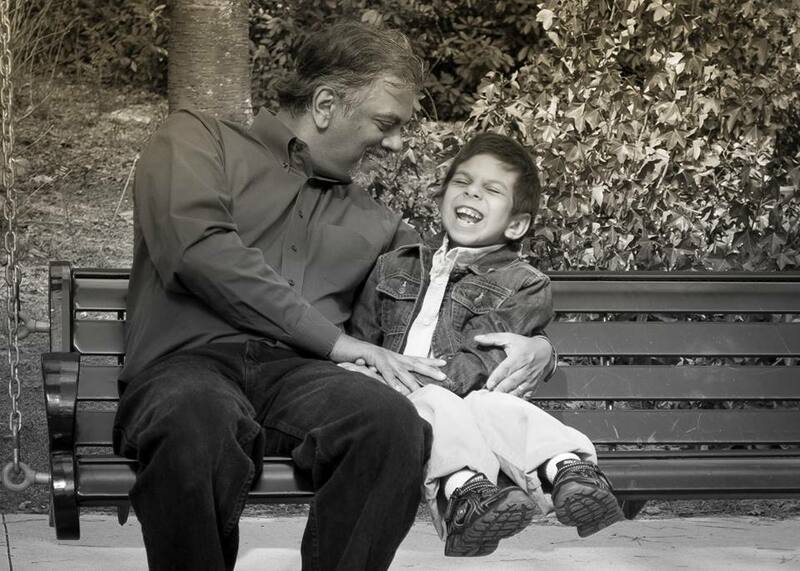 With appointed guardians, your child loses a great deal of independence. Your child will no longer be able to make decisions about their personal life, health care, financial or legal matters. Most state laws require that guardianship only be imposed only when less restrictive alternatives would not best benefit and protect the child. Following are a few examples of less restrictive alternatives to guardianship. If your child has the capacity to make some decisions, an option to consider is Conservatorship. The individual appointed to serve as Conservator manages your child’s property and financial affairs. Most other decisions are left up to the child. Power of attorney is given to a responsible adult (ex. a parent) that acts on your child’s behalf on financial, legal or business matters but the child still retains the right to act on his or her own behalf. If your child receives Social Security, benefits from the Veteran’s Administration, Railroad Retirement, welfare or other state or federal benefits, the Court can appoint someone to help manage their payments from these entities. All other decisions are left up to your child. It’s important to take into consideration several factors when deciding whether your child needs a guardian or some other form of support. The conversations and decisions about how your 18-year-old child should be cared for need to happen BEFORE he/she turns 18. These conversations are not easy. In fact, they’re very difficult and there are many variables to consider. As a result, it’s important to start thinking about your child, his or her needs and long-term well-being now. 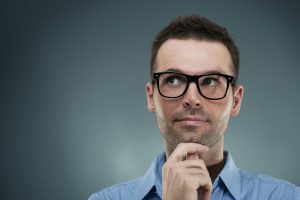 Although we cannot make the decision for you about what’s the right answer for you and your family, we can guide you through the decision-making process and help you with the legal aspects. I can be reached at DJ@JeyLaw.com or 678.325.3872 for a free initial consultation. Although everyone should have a will, as parents of special needs children, we need wills to ensure that our kids are well cared for and have a good quality of life after we pass. My son has a dual diagnosis of Autism and Williams Syndrome. Here are four things I recommend all parents of children with Autism – or any special needs – include in their wills or estate plans. 1) A Special Needs Trust – A will is a basic legal document that details your last wishes and is often used to distribute your property or assets. However, a basic will does not include provisions that are needed to protect and provide for your special needs child. This is where a Special Needs Trust comes into play. A Special Needs Trust can be a part of your will or it can be a stand-alone document. It allows you to designate and qualify your assets in a way that doesn’t penalize your child when it comes to his or her public benefits. Eligibility for many government benefits is determined based on the resources your child or adult ward holds in his or her name. 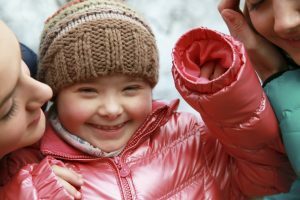 If your special needs child has too many resources, even by just one dollar, he or she may not qualify for, or may even lose, benefits such as Supplemental Security Income (SSI) and Medicaid. Even if your child does not currently receive government assistance, he or she may need it in the future. A special needs trust is a way to protect your loved one’s current resources and future benefits. Through a special needs trust you can leave assets to your child or ward without negatively impacting his or her government benefits. 2) Designated Guardian – We often assume that a member of our family – maybe a sister or our own mother – will automatically be given custody of our children if something happens to us. However, this is not true unless you have a will, trust or estate plan in place that specifically names them as guardians. Without a legal plan in place, anyone can request custody and a judge will decide with whom your child/children will live with. Choosing a guardian is perhaps one of the most difficult decisions to make. It’s important to choose someone you trust and who will respect your wishes for your child(ren). Things to consider when selecting any child’s guardian are the guardian’s age, his or her family values, parenting style, character, willingness to serve as guardian and whether he or she already has an established relationship with your child. 3) Guardianship Letter & Instructions – Once you’ve selected a guardian, you need to put them in a position to succeed if they are forced to step into your shoes. You should write instructions to the guardian about things they will need to know on how to parent your child. Include things like your child’s routines, medicines, information about his or her medical providers, how to deal with sensory meltdowns, what is the best way to get them to eat or sleep. Simple things like their favorite stuffed animal that they need to go to sleep with at night or where they like to hide their favorite sippy cup or the name of their favorite YouTube videos are small details – but they are of big importance to our children. By painstakingly detailing your routines and including details about what makes your child comfortable or happy in your care plan, you are setting your guardians up for success and for a smooth transition in case something were to suddenly happen to you and your spouse. 4) Conservator or Trustee – A conservator or trustee is someone to handle all financial decisions related to your child. A conservator helps ensure that money left to your special needs child is used for your child in ways that best benefit your child. 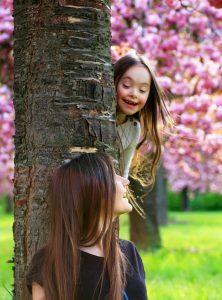 Often times families ask me if their child’s designated guardian should also be the conservator or trustee. It depends. Your guardian can serve as both, but sometimes families prefer set up some up checks and balances by selecting different guardians and conservators. It’s important to select someone you trust and who will make smart financial decisions on your child’s behalf. The guardian and the conservator work together in the best interest of your child. As a parent of a special needs child and an estate planning attorney, I understand the challenges of adding one more thing to your plate. However, putting into place a will to protect your child with special needs is something we all need to do sooner rather than later – just in case. We’ll walk you through the will planning process step-by-step. Initial consults are free. We want to help you create a legal plan that best protects your child with special needs as well as your final wishes for your entire family. I can be reached at DJ@JeyLaw.com or 678.325.3872.